J. 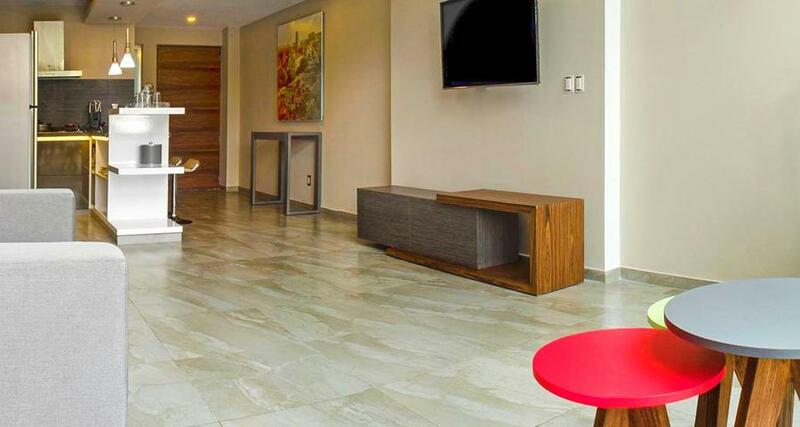 Towers Hotel Suites is a 4* hotel located in Mexico City-Napoles area, Mexico. It features 20 rooms. Warmly furnished suites and comfortable leisure areas combine with convenient services to make your stay at J. Towers Hotel Suites relaxing and efficient. Each suite has a kitchenette and living room along with a separate bedroom, providing guests with additional privacy and relaxation. Complimentary wireless Internet is available throughout the hotel, which also features a charming rooftop terrace, a barbecue area, gymnasium, massage services and free onsite parking. As the property is situated in the Napoles area of Mexico City, it offers easy access to restaurants, shopping centers and the World Trade Center.